Are you looking to spice up your exercise routine? While we all know that exercise is a vital component of your health and wellbeing, sometimes it can be difficult to get motivated or interested in getting active. The first steps in developing healthy exercise habits can often be the most difficult, precisely because you haven’t developed the habit yet. To give you a hand, we’ve found some interesting apps that can help you get moving more using just your smartphone. These days, most Australians have their own smartphone and thanks to the rising popularity of augmented reality technology (not quite virtual reality, but close) there’s a number of apps out there that can help exercise feel more like you’re playing a game, so you’ll find 30 before you know it! Best of all, most of the apps are free to download and if you do indulge in an in-app purchase or two, it’ll probably cost less than your average weekly gym membership. Let’s get moving! 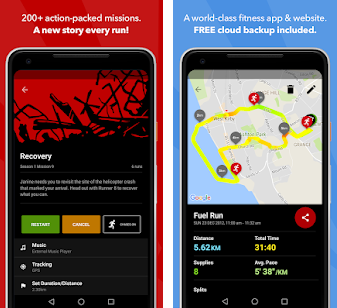 If you’re looking for an app that gives you an incentive to get into the habit of moving regularly, exploring new areas or going the extra mile, give Run an Empire a try! 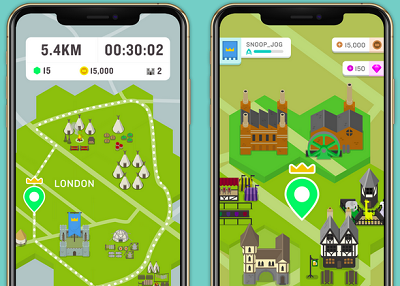 This fresh new “running strategy” game launched globally in October 2018 after a beta testing period to make sure things were running smoothly (no pun intended). With a simple, user-friendly interface, it’s easy for anyone to take part, whether you’re really into marathons or just starting to make a change to your lifestyle. It works with a real-world map that is overlaid by hexagon zones. As your walk, jog or run takes you through different zones, you’ll claim that territory in the name or your digital empire. The distance you cover also earns you coins, which you can invest back into your civilisation, which starts at the Stone Age and gradually evolves into modern eras as you earn coins and spend them on building upgrades. 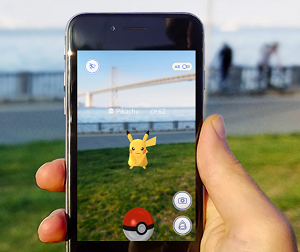 The launch of Pokémon GO was hot news back in 2016 and today, the app is still going strong after multiple updates that introduced new features and two new generations of Pokémon. For those who are out of the loop, Pokémon GO gives you a map of the real world and invites you to take a walk to see what kinds of unusual and adorable pocket monsters will pop up for you to catch. Notable landmarks are designated as Pokéstops, which give you items and research tasks to do, or Gyms, where you can battle Pokémon and try to claim the Gym for your team. The beauty of Pokémon GO is that you don’t need to know much about the Pokémon franchise to play, and you can choose not to get too involved in the battle aspects while still having fun. 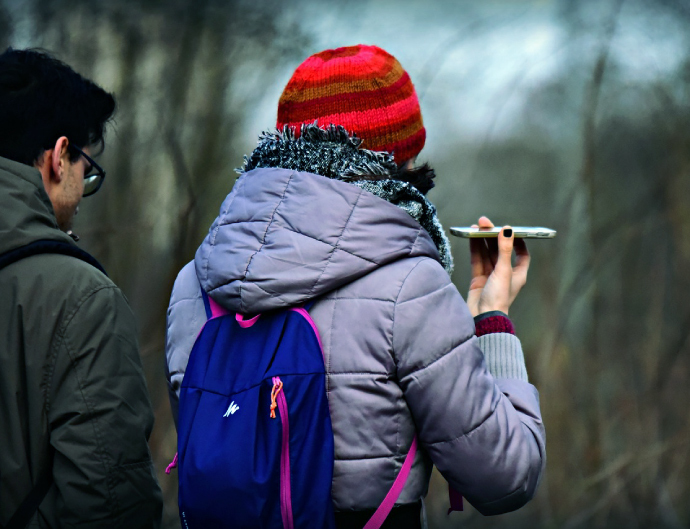 You can use the Pokéstops as checkpoints on your walk, run or bike ride to encourage you to go just a little bit further, not to mention those Pokéstops can give you eggs which you’ll need to travel a certain number of kilometres in order to hatch. Which Pokémon is inside? That’s a surprise! Available on iTunes and Google Play (Free with optional in-app purchases). Ever wanted to draw on a wall but don’t fancy the criminal record for graffiti vandalism? 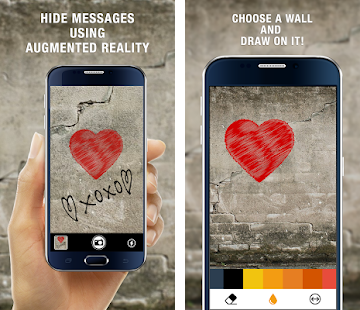 You’re in luck – WallaMe is an app that makes spontaneous doodling guilt-free because it doesn’t impact the real-world walls at all! Your artwork is entirely digital and viewed through the app on your phone. Best of all, you can save your artwork to its geographic location and leave it up for others to find. You can choose to share it with just your friends or even make it public for anyone to see! While not strictly an exercise app, WallaMe can add a new layer of discovery to your walk or run – who knows what artworks are already waiting out there? With a little imagination, you could even shake up your exercise routine by taking the same route as a friend and leaving artworks and messages for each other to find. Looking to add some more fun to your run without needing to stop and look at your phone periodically? Zombies, Run! is a clever app that focuses on audio, not video, so all you need is a pair of headphones while you’re out jogging and you’re ready to play! The main feature of Zombies, Run! is a range of over 200 “missions” which can best be described as audio adventures intended to be listened to while you go for a run. At certain points throughout the story, you’ll suddenly encounter zombies – that’s your cue to pick up the pace and run faster! With a huge range of missions, the app will keep coming up with new surprises for you – not to mention it was co-created with award-winning novelist Naomi Alderman, so the stories themselves are very immersive. You also automatically collect supplies as you travel so when you stop to take a break, you can use them to build up your base in the on-screen game to help keep those pesky zombies at bay. Do you have an app that helps you get moving and shaking? Tell us about it in the comments.